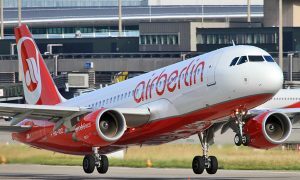 airberlin announced the appointment of Stefan Pichler (57) as Chief Executive Officer, as it moves forward with its previously announced restructuring program to deliver long term sustainable profitability. In his role as CEO of Air Berlin PLC, Stefan Pichler will be responsible for all group businesses and airline brands. 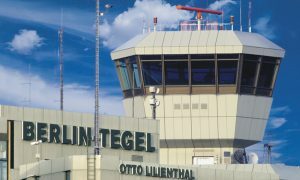 He will take over on February 1st, 2015 from Wolfgang Prock-Schauer, who will resign on his own request but remain with the Group and resume his previous position as Chief Strategy and Planning Officer to further support airberlin. Stefan Pichler will take on the task of driving forward the Group’s turnaround programme, which aims to deliver sustainable profitability over the long term for airberlin. A 25-year veteran of the air transport industry, he has unrivalled experience in running profitable network, low-cost and charter airlines. He joins from Fiji Airways, where he has been leading a turnaround programme to return the carrier, formerly Air Pacific, to profitability. Fiji Airways recently reported its best ever first-half profitability and is on course to deliver record-breaking full year results. Stefan Pichler is also currently Chairman of Tourism Fiji, which accounts for 38 per cent of the nation’s GDP. Before joining Fiji Airways, he was Managing Director & Chief Executive of Jazeera Airways, where his successful turnaround programme led to 13 consecutive quarters of profits, with industry-leading margins of 25.6 per cent in 2011 and 30.2 per cent in 2012. Prior to that, he was Chief Commercial Officer and Deputy CEO of Virgin Blue Airlines, which became one of the most profitable global airlines in 2006 and 2007, with double-digit post tax margins. He also launched V Australia, which he served as Chairman until 2009. He was Chairman and Chief Executive of Thomas Cook AG earlier on and also held various senior management positions at Lufthansa, culminating in a role as Chief Commercial Officer and Member of the Executive Board, accountable for sales and marketing worldwide. Wolfgang Prock-Schauer will resume his position as Chief Strategy and Planning Officer, which he originally held when he joined the Group in 2012. 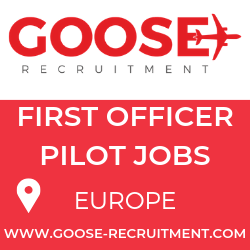 In this role, he will leverage his extensive network and revenue management experience in helping to reshape the networks of the airberlin Group and to deliver greater passenger choice and route profitability. Dr Hans-Joachim Körber, Chairman of the Board of Directors, said: “We are pleased to get a strong leader for our senior executive team with the appointment of Stefan Pichler. He has an outstanding track record of senior leadership positions in successful airlines and is a most welcome addition to the airberlin team. I am sure he will have an immediate positive impact. airberlin is one of the leading airline companies in Europe, flying to 171 destinations worldwide every year. 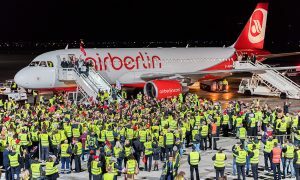 The second largest airline in Germany transported more than 31.5 million passengers in 2013. airberlin has a global route network by virtue of its strategic partnership with Etihad Airways, which has a 29.21 per cent stake in airberlin. The fleet has an average age of five years and ranks among the most recent and most eco-efficient in Europe.